The Department of Radiology’s Diversity Committee hosted it’s 2nd Annual Radiology Expo 2017, deigned to improve the involvement and career advancement of women and other URMs in radiology. Radiology, like many medical specialties, has struggled to train and graduate physicians to match the evolving diversity reflected in regional and national demographics. Despite comprising half of all medical school trainees, women have consistently represented less than 30 percent of radiology training programs, with even more dismal statistics being reported for underrepresented minorities (URMs). The lack of diversity in radiology is multifactorial. It is partly due to concerns, both perceived and real, that medical students have when choosing a specialty. To alleviate these concerns, current members of the radiology workforce must work to actively recruit and engage women and URM medical students through meaningful mentorship, inclusion in scholarly activities, and leadership. This diversity gap has galvanized like-minded people in the department of radiology at the University of Chicago, prompting us to create initiatives to improve the involvement and career advancement of women and URM trainees in academic radiology. One step towards this goal was achieved by hosting “RADIOLOGY EXPO 2017,” held in November of 2017, and sponsored by the BSD Office of Diversity and Inclusion, Department of Radiology, and BARD Inc. The 2nd annual Radiology Expo was a grand success. The expo was attended by medical students from around the Midwest to learn more about the radiology profession. More than 70 students, representing nine medical schools were in attendance. Pre- and post-Expo surveys were completed by the students for data analysis. There were 33% women attendees, 10 African American students, and 3 Hispanic students who participated in the Expo. A total of 11 faculty members and 14 residents and fellows from the Department of Radiology volunteered at the Expo in various capacities. The Chicago Radiological Society’s Resident and Fellow Section sent a team to volunteer at the event as well. The Expo featured a keynote speaker, lectures, interactive panel discussions, and hands-on workshops. We were thrilled when Claudia Henschke, PhD, MD, who has many groundbreaking accomplishments in lung cancer screening, gave the opening address at the event. 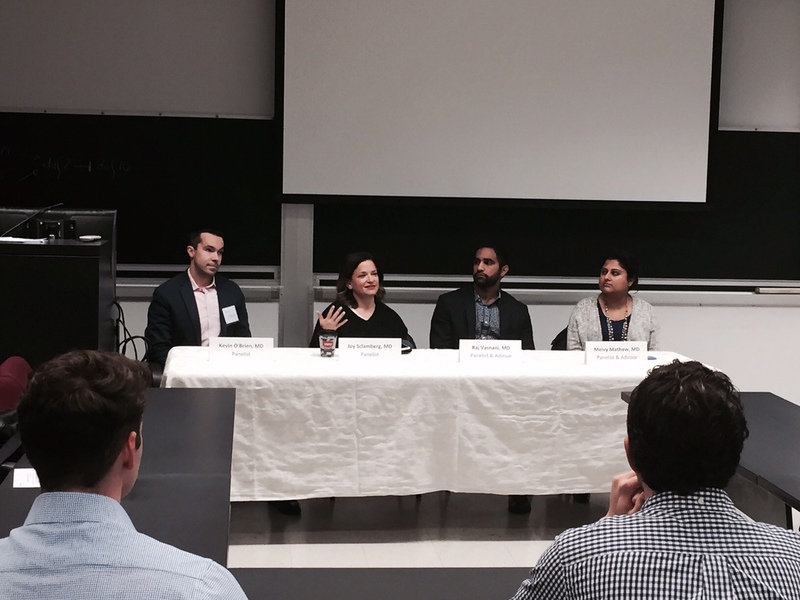 As a proponent radiologist, she spoke about empowering the workforce and provided career advice to medical students. The Expo also showcased a talk on “Bias Busting” presented by Nandini Anatharaman, MBA, lead principal analyst from Google who is an active member of the company’s Diversity Committee. She talked about three bias related stories and Google’s approach to addressing these issues, which was very well received by the audience. Following Anatharaman’s presentation, participants broke out into small group sessions that informed them about life as a radiologist, the radiology residency application process, and common misconceptions within the field. The sessions were conducted by panels of residents, fellows and attending radiologists, representing both academic and private practice. The small group format afforded students the opportunity to ask questions of radiologists in varying specialties and different levels of training. Students participated in interactive hands-on sessions on ultrasound-guided breast biopsy simulation and learned about two different techniques being investigated for fluoroscopic-guided lumbar puncture simulation. The Expo also allowed access for longitudinal mentoring and engagement between interested medical students and departmental faculty. 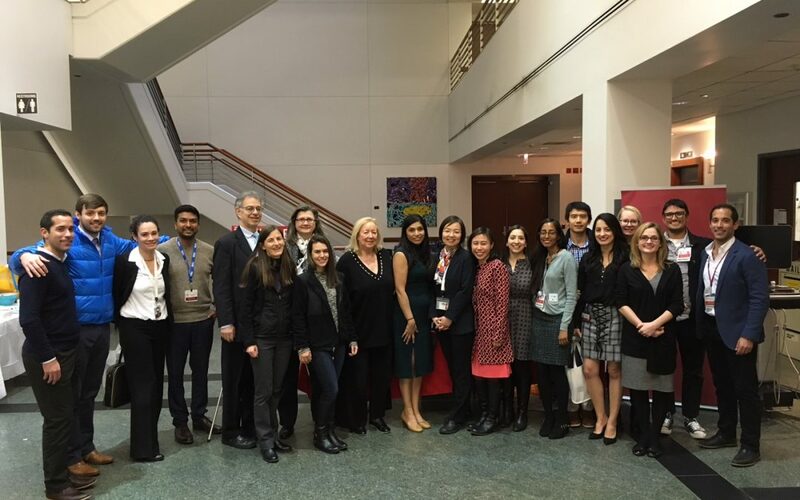 Radiology faculty from University of Chicago, Northwestern Memorial Hospital, NorthShore University HealthSystem, Rush University Medical Center, Presence Saint Joseph Medical Center, and Central Dupage Medical Center volunteered at this event as mentors and/or panelists. Radiology residents from University of Chicago, Northwestern Memorial Hospital, St. Francis Hospital and University of Illinois Chicago volunteered at the event. This is the second year the Radiology Expo was carried out, and it was recently recognized at the national level as it was highlighted as a high-impact project at the American College of Radiology Annual Meeting in May 2017. Panel discussion on residency application pearls in progress. Panelists from left to right: Kevin O’Brien, MD, Radiology Chief Resident, University of Chicago; Joy S Sclamberg, MD, Residency Program Director, Rush University Medical Center; Raj Vasnani, MD, Interventional Radiologist, Presence Saint Joseph Medical Center; Melvy Mathew, MD, Assistant Professor of Radiology, University of Chicago. 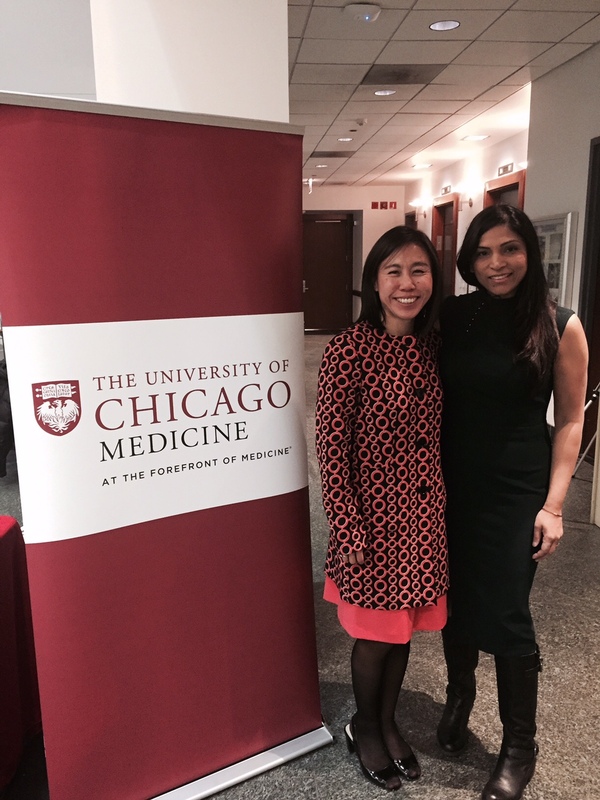 From left to right: Carina Yang, MD, and Kirti Kulkarni, MD are the co-chairs of the Radiology Expo. During the lunch break at the Radiology Expo. 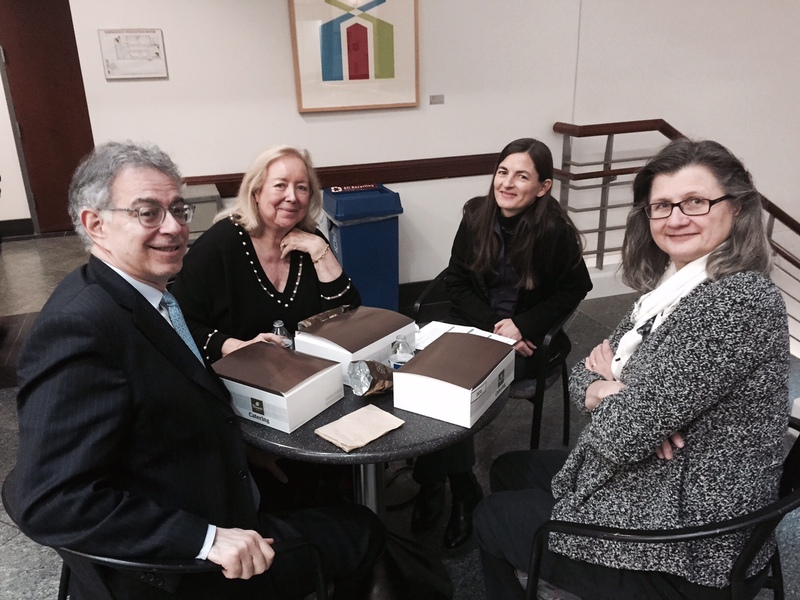 Left to right: David F Yankelevitz, MD, Professor of Radiology, Mount Sinai Hospital, NY; Claudia Henschke, PhD, MD, Professor of Radiology, Mount Sinai Hospital, NY; Ingrid Reiser, PhD, Clinical Diagnostic Physicist, University of Chicago; MaryEllen L. Giger, PhD, Vice-chair of Basic Science Research, University of Chicago.